Larger Cut - All Rennoc jackets have a slightly larger cut than other jackets in the market today. This "extra" room is a great benefit for the students as they grow through their high school years. Premium Trim - The knit trim around the collar, sleeves and waistband of a Rennoc jacket is made from a premium material which holds its shape (memory) longer and is softer to the touch than other jacket suppliers' products. 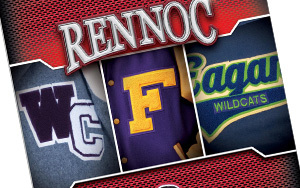 From stock to blank to decorated jackets, Rennoc is your one stop shop. View our offering of premium varsity jackets. Rennoc offers top-of-the-line decoration options. Design your own letters and patches with our builder tools. These modern styles are what your students and teams want. 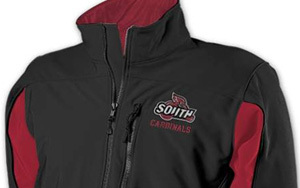 Design apparel in your schools' true color combinations. 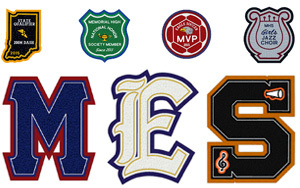 Need more information on varsity jackets, outerwear and decoration? Click here to read more on how Rennoc can be your one stop shop.